We study the set of finite words with zero palindromic defect, i.e., words rich in palindromes. This set is factorial, but not recurrent. 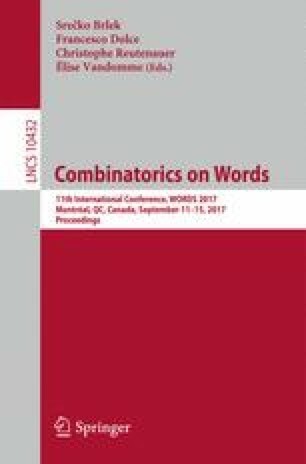 We focus on description of pairs of rich words which cannot occur simultaneously as factors of a longer rich word. The authors acknowledge financial support by the Czech Science Foundation grant GAČR 13-03538S.